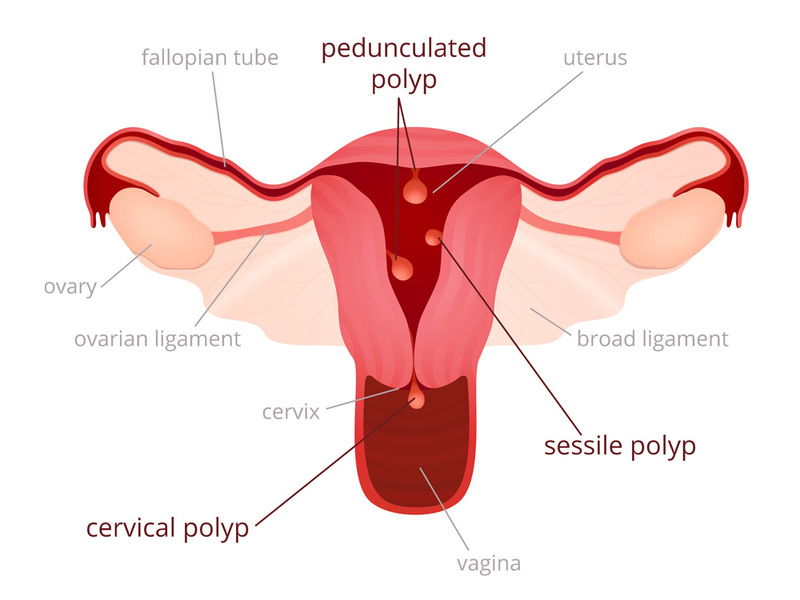 Most uterine polyps are harmless growths within the uterus or cervix. Cancer of the uterus can also mimic a polyp so when a polyp is diagnosed or if any irregularity of the periods occurs; it is strongly advised that you seek medical help and referral to a gynaecologist. Most polyps can be easily removed either in the rooms or under general anaesthetic in hospital.